LUEX knows where and when to surf in the Canary Islands. Beaches and reefs of Fuerteventura offer year-round surf opportunities for beginners, intermediate and advanced surfers. Consistent, clean waves, perfect sandy and volcanic beaches and guarantee of sunshine are the things that make it the “European Hawaii”. Surf camps, resorts or self-catering villas in luxurious, medium or budget standards – choice is YOURS. Just give us a call. Fuerteventura, the second largest but least developed of the Canary Island chain, has a few strings to its bow. It is the oldest of these volcanically formed islands, the least developed and can also lay claim to having both the most in number and the longest beaches, made up of fine white or black volcanic sand. 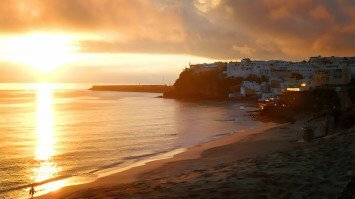 In surfing terms, this culturally rich island offers something of a wonderful anomaly – a guaranteed all-year-round sunshine guarantee and pleasant water temperatures, actually suggesting something rather more exotic, while allowing traveling surfers a comfortable European influenced experience. Sharing a latitude with Florida and Mexico, Fuerteventura, with its lavascapes and volcanic mountains, has been dubbed 'the island of eternal spring' and the 'European Hawaii' – even having its own North Shore where most of our trips are based - and drawing international surfers with its selection of beach breaks, reefs and points. With water temperatures ranging from 18 – 22° C Fuerteventura has earned a reputation as a winter surf destination however, swell reaches these shores year round. If you are looking for the biggest swells and optimum surf conditions which fire up the reefs then the best time to come is from September to April, while beginners will find the smaller waves of June and July perfect for learning. With a swell window which picks up all long distance swell arriving from west round 180° to east, Fuerteventura offers consistent conditions and clean waves breaking predominantly over rocky reefs but there are also beach breaks and point breaks on the surf menu too. Fuerteventura has two main surf zones. The island's main surf focus is centered in the north around Corralejo, known as the 'North Shore' where there are exposed reefs aplenty and wave offerings which range from mellow to challenging in intensity. 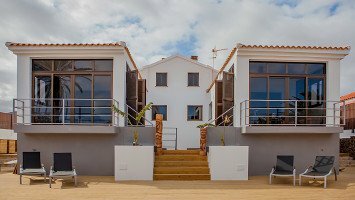 Corralejo itself still retains some of its original fishing village charm while combining all the benefits and conveniences of a modern vibrant surf base full of shops, bars, cafes, restaurants and surf shops. The far less crowded south of the island offers surfers the chance of exploring lesser known riding territory with powerful beach breaks and reefs waiting to be discovered. Options are a little more spread out here so the best way to ensure you and the best waves are in the same place at the same time is to get out and about by vehicle – easily achieved with the mobile surf schools and guiding services offered by Fuerteventura surf trip operators. 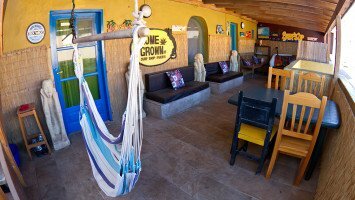 The majority of accommodation options offered by Fuerteventura surf trips come in the form of surf camps and/or self-catering choices with apartments, studios, bungalows and hostels in the mix. The room choices are suitable for all party configurations from solo travelers to larger groups and range from perfectly private to sociable communal living. 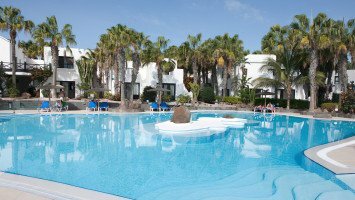 Most of the choices allow you the use of a swimming pool for sunning yourself in between surf sessions and a host of activities and facilities. These include the pampering of mind, body and spirit variety with massage, spa and yoga offered or get you out, fascinated and active with excursions, fishing trips, scuba diving, SUP lessons and more. Fuerteventura based surf holidays are popular with solo travelers and groups looking to step into an instantly fun and social surf camp vibe but families and couples looking for an affordable Canary Island option also come here thanks to the budget to mid-range price bracket. Independent-minded surf travelers simply looking for a great base are drawn here by a range of self-catering choices which offer complete freedom to set their own schedule. Those with a little bit of explorer in their soul and looking to get out and about – often by fun 4WD - are going to love the widely offered spot transfer and guiding services, with the guarantee of being at the best surf spots and wherever the surf is pumping. 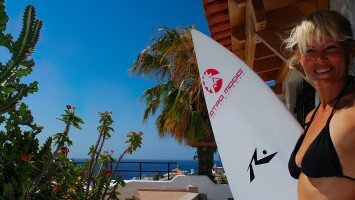 Surf trips Fuerteventura style are suitable for all levels from total beginner to advanced surfer thanks to the range of breaks and surf spots liberally littered around. However, they are also especially popular with novices who come to experience their first riding thrills in waves perfectly suited for fun and learning, with expert coaching and classes offered across the board. When it comes to packages, the majority of Fuerteventura based surf holidays are offered on a self catering basis but upgrades to include some or all meals and certain add-ons such as classes and/or guiding allow you to choose and pay for only what you need and what is most suited to your party's personal requirements. If you're not quite sure of what time of year to head off, confused by which trip offers you the best value for money or are trying to untangle the logistics of dates, room requirements and services needed for different group members then stop stressing and just give the LUEX experts a call. We are ready, more than willing and super able to take care of it all for you, matching you up with your ideal Fuerteventura surf vacation.